Your house constitutes a great percentage of your life since most of your property and belongings are kept in it. Some valuables and personal items such as certificates and electronic cards are far much beneficial than anything else in your house. Most importantly, the feeling of safety and security in your own house gives you peace of mind to settle and peacefully carry on with your daily routine. Anything that may threaten the destruction of your house property and belongings threatens your peace of mind and may lead to anxiety and restlessness in your family. Your commercial roof also contains valuables some of which are irreplaceable. Damage to your commercial property may cause terrible stress not only to you but also your customers, staff or workmates. A leaking or an unstable roof over your house can be one of the greatest sources of such restlessness. It may lead to the destruction of your valuables inside the house, making the whole scenario unpleasant and unbearable. The danger and irony at once is that you may not be able to tell when such a misfortune will befall you. You can never tell when a tree branch will fall over your roof. You can never tell when s storm will carry off part or whole of your roof. You, therefore, need an assurance that you are safe in your house and that your property is safe. You have a perfect solution for this kind of uncertainties. Beneficial Roofing Company is your best solution. To avoid such problems, contact us to prove who we are and what we can offer you. Are you based in Rockwall, Texas and you still do not have an idea about us? It is never too late. We are based in Rockwall, Texas, offering roof inspection services to our esteemed customers within the region. We are highly dedicated to serving you diligently at an absolutely reasonable cost. You don’t have to worry about our charges because anyway, our core purpose is to secure your roof and give you the peace of mind you deserve. The great community of Rockwall is our sphere of operation and its residents’ satisfaction is the source of our pride. 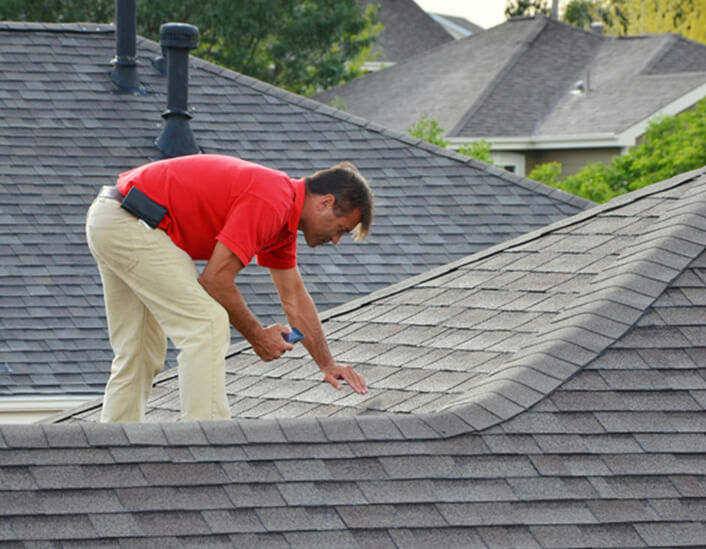 We offer roof inspection services all over Rockwall to ensure safety and security of your property. We do this for both residential and commercial roofs. Below is a brief description of our roof inspection services. We inspect your roof to ascertain chances of possible damage or destruction to your roof. We have a team of specialized and highly skilled roofing experts who can easily identify and point out any possibilities that your roof may get damaged. For instance, we observe the position of your roof in regard to other structures or ongoing activities that may result in its damage. We also inspect the quality of your roofing materials and tell how long it is likely to serve you before getting old or wearing out. We advise you to get prepared for their repair or replacement if there is a need to. In case your roof is damaged, we come in to offer insurance claim roof inspections to assist you to have a full understanding of what your damaged roof and property is worth. We recognize that insurance agency claim adjusters may ignore the evidence that your roof damage is claimable and worth insurance cover. After carrying out this inspection, we advise you to schedule an appointment with insurance claims adjusters to start a claim for insurance. We accompany the insurance adjuster to ensure they document all the damages properly so that you can be covered. To sum up, Beneficial Roofing Company is dedicated to equipping you with relevant information in regard to the condition of your roof. We are based in Rockwall, Texas, serving all the residents in this great community. Give us a call anytime for inspection and have quality roofing inspection done for you. give us a call anytime for inspection and have quality roofing inspection done for you.